Are you looking for beautiful house plants near Newchurch? If so, you should come over to one of our nurseries any afternoon and browse our collection of indoor plants that you can put into your bedroom as well as in your office. You can put them in pretty containers and decorate your patio with them or put them in fancy hanging baskets you can buy from our garden shop and use them as decor where your guests sit. We have a wide range of cacti – from tiny ones that you can carry in the palm of your hand to tall and voluminous ones you can keep in the corner of a room in an appropriately sized container – Thompson’s Plants can supply you with a perfect set of cacti that you can add to your collection of house plants. While cactus’ popularity makes it a separate product category, it is part of the succulent tribe. Succulents are wonderful plants that can easily grow in pots and containers, which makes them the ideal group of interior plants. Our displays of indoor plants near Newchurch are full of many such specimens that come in many sizes, shapes, and forms. With our plants in hanging baskets, you can give the green in your home in Newchurch the perfect balance of garden plants and potted plants. Their suspended look is extraordinary and will turn heads whenever you have guests over. Many succulents and other types of plants make the perfect item on a table. Whether it is your study table, writing table, or a side table, we have many options for you to get the right table plants. 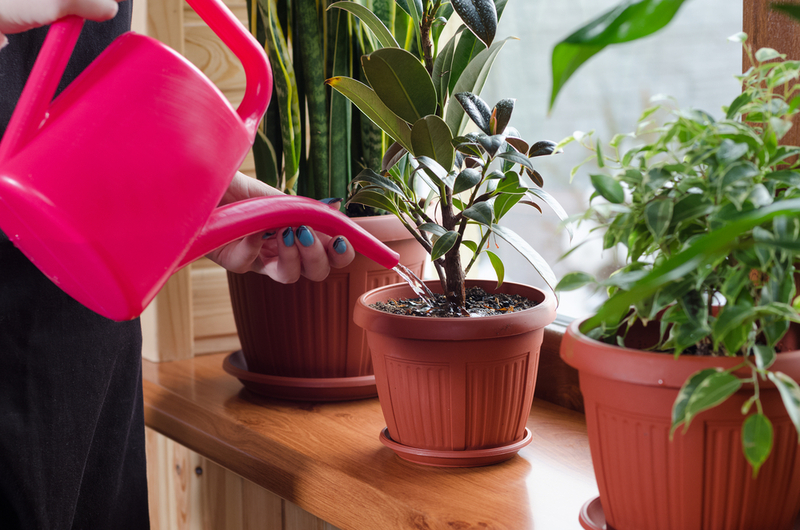 There are many reasons why many home owners like keeping plants in the house. For those living in the city with limited home space, affording a garden is not possible, and they can easily show their love for the greens by keeping indoor plants. Like all other plants, house plants are also natural filters for the air. They freshen up the air in your closed rooms and maintain a naturally healthy atmosphere. Some people, on the other hand, get house plants near Newchurch and other towns due to the aesthetics. Many indoor plants come with exquisite looking flowers that add natural colours to the interior decor of enclosed spaces. When you visit our nursery near Newchurch to get plants in containers, make sure you talk to one of our on-premises experts about the options you have. You will be surprised to see how many options you actually have in this matter. Our expert would like to know what kind of plants you generally like and what you are aiming to achieve with your new house plants. With this information, they will guide you to your best options in terms of aesthetics and price. Visit us soon to get your indoor plants near Newchurch from our one-stop garden shop!